Since the creation of the Coordination Unit in 2004, EMES has a professional staff supporting its project activities. It includes a full time Managing Director, one half-time Administrative Assistant and ad hoc Project & Communication Officers. The EMES Coordination Unit also benefits from a number of volunteer contributions covering the various spectrum of activities. Currently, Jenny Eschweiler is collaborating with EMES in various projects and initiatives related to training, education and communication. The range of initiatives carried out by the coordination unit and the members of EMES covers research, educational initiatives (e.g. FETSE), dissemination activities, and the organization of international events (PhD Summer Schools, Research Conferences…). In addition to the coordination of research the Coordination Unit has developed an expertise on the dissemination and communication of international projects. Currently, it oversees this aspect for the following projects: Welfare Innovations in the Local Context (WILCO); REScoop20-20-20, and Third Sector Impact. Rocío Nogales earned a BA in Communications from the University of Seville (Spain), a Masters in Art Management at Carnegie Mellon University (US), a Masters in Art History at the University of Pittsburgh (US), and a Masters in Management Science at the University of Liege (Belgium). Her professional experience includes the cultural non-profit and the academic research sectors. She first managed the CineMuse Network, a social enterprise initiative in a community arts centre in the US. 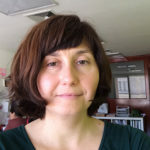 Since 2004 she has been the managing director of the EMES European Research Network, coordinating international research projects, organising international research conferences, seminars, and PhD Summer Schools, and forging international alliances. She has conducted consultancy and advisory work for international organisations like the OECD and the UNDP on the resource mobilisation of social enterprises, on social enterprises in emerging countries, and on the contribution of social enterprises to employment creation. As a researcher, she focuses on social innovation, organisational transformation and the management strategies operating in third sector organisations, specifically in the cultural sector. 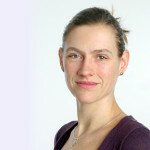 Sabine Spada assists with the preparation and implementation of international research projects and the organisation of EMES events and activities. Sabine Spada obtained a diploma as Executive Secretary from the Université du Travail of Charleroi (Belgium) and a degree in accountancy from Brussels’ Belgian Chamber of Accountants (Chambre Belge des Comptables de Bruxelles, Belgium). She worked as an office manager and project assistant for 15 years for the co-operative sector, first with DIESIS, whose mission is to support the development of the social economy in Europe, and then for the social housing sector, with CECODHAS Housing Europe, the federation of public, cooperative and social housing. She has a wide experience in the administrative coordination of European organisations working in areas of the social economy. She started to collaborate with EMES in 2010; she assists with the preparation and implementation of international research projects and the organisation of EMES events and activities. Thomas Pongo supports the network and its members in five main areas of activity: research, teaching, community, governance and communication. Thomas has worked as a research and teaching assistant (UCL). 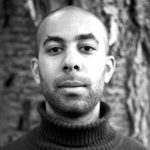 Within the framework of his PhD, Thomas specialized in Qualitative Social Research, Business Ethics, Organization Studies and Social and Solidarity Economy. His work focused on empirical research concerning decision making, ethical issues and agro-food militancy. His research insisted on the difficult balance between moral, social and argumentative competencies as well as different distribution systems. It also suggested an EMES-inspired typology for making sense of the diversity of Alternative Food Networks. Since October 2017, he has also been working as an educational manager at the Centre d’Economie Sociale (Belgium). He has been responsible for re-designing a new Business Ethics curriculum for management students. 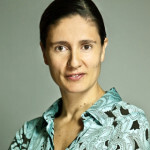 Michaela Lednova holds a Master of Social Economy from University of Barcelona (Spain), and a Master of Economic Science from University College Dublin (Ireland). In the course of the past 12 years she has gained experience working in more than 30 countries of South/Eastern Europe, Asia, Latin America and Middle East, covering areas of civil society, social enterprise and social innovations. She worked for the international organisations (UNDP, EC and EFTA/FMO), non-profit and public sectors. She was a fellow at the EMES CU from October 2016 to July 2017 taking the lead on the development of project proposals and the analysis of EMES sustainability. Jenny is mainly responsible for the Third Sector Impact website and social media presence and she assists with other communication related tasks for the project. 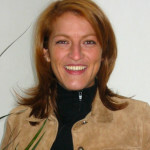 Jenny Eschweiler graduated from Bonn University in Germany with a MA in Political Science, Sociology and American Literature. She completed her PhD at the University of Kent, UK and the University of Roskilde, Denmark on the topic of deliberative democracy and Muslim civil society organisations in Germany. She has been a member of the EMES PhD Student Network since 2008 when she participated in the EMES PhD Summer School in Corsica. She joined EMES as a volunteer in 2013 and formally joined the staff in March 2014.